We do domain registration, transfer and renewal. Choose a domain name which is short, appealing and easy to remember. Softlink options enables qualified partners to resell their services to both commercia, public sector and customers. 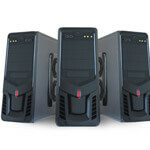 Start your web hosting business with good reseller packages. Simple and precise website attracts many customers.Get your website optimized to increase web traffic. We have hosting packages which have unlimited bandwidth hence high speed. 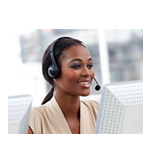 Our customer support team is always available to support whenever you are facing any difficulty. Our cpanel comes with a variety of quick adds. Many are applications you can install and help you run your business from content management, CRM, Customer support. Reseller hosting allows you to create sub-accounts within your hosting account. These sub-accounts act as an individual hosting account, suitable for hosting personal and business websites Softlink Options offers you a great way to earn money by starting your own fully functional web hosting business. Web Hosting Packages at affordable prices.All you need to start a website is available in a single package.